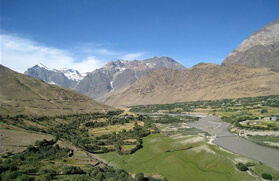 Located in Jammu and Kashmir State of India, Zanskar is a sub-district of the Kargil. Zanskar along with the other neighboring Ladakh region was once the part of the Guge kingdom in Western Tibet. 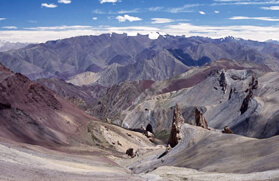 The Zanskar Range with an average height of 19,700 ft, a mountain range detaches Ladakh from Zanskar. 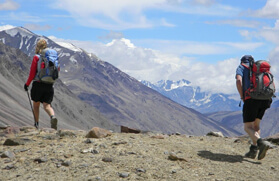 The trekking routes of Ladakh are certainly more challenging as compare to the trekking routes in the valley of Kashmir. However, both the regions lie in the same state. The possibilities of this difference in trekking experience of tourists among the two regions can be due to varying climate conditions, roughness and length of the treks. 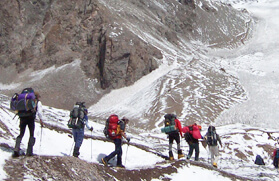 The Trans Zanskar expedition is one of the hard and challenging treks of Ladakh, which is approximately a month long. It will take you over 27 days long tour. You will surely have an unforgettable life time experience by opting for this exciting tour. This trek will take you to some great places that you might have never imagined before. 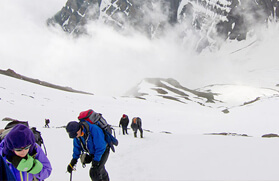 We, at Trekking in India offer an exciting and well-planned adventurous Trans-Zanskar Expedition Tour, which does not comprise of only walking over the rocky landscape of Ladakh. Our Trans-Zanskar Expedition Tour has a lot more to offer you. To make your Trans-Zanskar Expedition Tour more interesting, our tour operators have added many leisure trips, breaks, fun activities and lots of entertainment. Extremely assembled region of Ladakh, Trans Zanskar offers tourists from across the globe a suitable alternative for the journey and other exciting and adventurous activities. Darcha is the starting point of our tour. 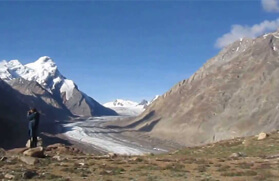 You will be crossing more than 10 high passes to reach to Padum, the capital of Zanskar. 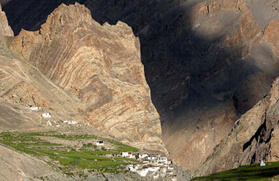 On the way, you will witness many Gompa like the well-known Phugtal Gompa and many more. This trek will end at Lamayuru. Reach us to get more details of our well-organized Trans-Zanskar Expedition Tour. Trans Zanskar Expedition in its scope and overwhelming in its sheer grandeur. Starting at Lamayuru gompa, the most ancient monastic site in all of Ladakh, we cross 4 high passes to reach Zanskar's capitol of Padum. From Padum, we continue ever deeper into the wonders of Zanskar, including a diversion to the famous Phugtal gompa. 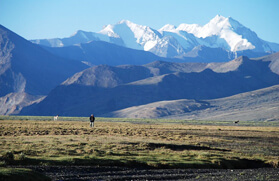 Our departure from Zanskar is over 17,000 foot Phirtse La to the vast plain of Sarchu. Ladakh is both historically and culturally Tibetan. Its ancient monasteries and villages have remained unchanged over the centuries. Even if Zanskar had only got a handful of Gompas and settlements that lie within striking distance of the road or hidden away in the remote valleys, it offers glimpses into Tibetan Buddhism and the colourful lifestyles of this isolated region. Arrival in Delhi and transfer to Hotel. Combined sightseeing of Old and New Delhi visiting Red Fort built in 1648 by Mughal Emperor Shah Jahan , Jama Masjid , one of the largest mosques in India, Raj Ghat and Shantivan , the cremation sites of Mahatma Gandhi and Jawaharlal Lal Nehru, Qutab Minar built in 1199, Humayun Tomb, India Gate(War Memorial Arch), Laxmi Narayan Temple and then pass through the government buildings, the President House and the Parliament House. Drive 400 Kms/7-8 hrs to Bilaspur . Overnight in simple hotel. Drive 180 kms/3-4 hrs to Manali via Mandi which is the gateway to Kullu valley. Mandi means market . It was an important junction on the salt route to Tibet. Enroute we also visit Bajaura Temples dedicated to Lord Shiva. Temple is embellished with wonderful carving in stone and sculptural decorations some of which , unfortunately has been mutilated, probably in an invasion in 769-70. Overnight in Hotel. Drive 180 kms/5-6 hrs to Darcha over to Rotang Pass(3980 m). Overnight in Tent. We start our trekking today. First day its an easy trekking of 3-4 hrs, follow the track until the last hamlet then good footpath and pass a spectacular gorge. Overnight in Tent. Continue trekking and follow the track on the left side of the river passing through the rocky path with big boulders and moraines. We also have to cross streams twice or thrice enroute. Arrive Zanskar Sumdo (4000 M), a good camping ground for the overnight in Tent. (5-6 hrs). Today its trekking high up on mountain side. First cross the river by a hanging bridge and then steep climb up for about an hour and then follow the trek on a narrow valley until you reach Ramjak , a small meadow . Thereafter to Chuminakpo (4800 m). Overnight in Tent. (5-6 hrs). Climbing zigzag up through the moraine, ice and snow up to Shingo-La (5090 m). Thereafter descent is through the ice and the snow which is steep and dangerous for the horses and the mules till you reach small meadow. Lukung (4400 m) is further down near the river (7-8 hrs). Overnight tent. Long day of about 8-9 hrs trek. After breakfast continue on the right side of the river along an easy path. We pass through some villages such as Table, Tanze, Kuru, and Jal. Kuru is a major village of livestock breeders. Climb up the gentle slope is the village Jal and thereafter steep descent towards a good bridge for Purne (3650 m). Overnight in Tent. Today we visit Pughtal Gompa, one of the oldest monastery in Zanskar and spectacularly located. Passing through a narrow valley and the splendid gorge we cross the bridge and come to an small plateau sprinkled with chortens and religious banners. From here we see one of the most spectacular sight of the Pughtal Monastery built in a cave. The monastery belongs to the tradition of the Gelugpas (Yellow Hats). Back to Purne and further trekking up on the left bank of Tsarap river after crossing the bridge. Arrive Gyalbokh village. Overnight in tent. (6-7 hrs). From Padam head towards Pipiting and follow a dusty plain towards the Doda river and reach bridge. Cross the bridge to reach Karsha Monastery dating back to the 16th century. 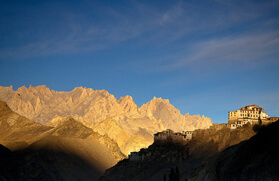 It is the largest and the most wealthy of all monasteries in Zanskar. Further trekking down on the plain path is Rinam. Overnight in Tent. (6-7 hrs). Today we trek through the easy stretches often hot and dusty through the bank of Zanskar river and a small stream and shelter formed by rocks. Overnight in Tent. (5-6 hrs). Gradual one hour climb to the Murgum-la (4200 m) then pass an escarpment, go along the slope. Gentle descent towards the villages of Gongma and Skiumpata. Steep climb to Kiupa-la (3850 m) and then gradual climb along mountainside to the foot of Shinga-la . Overnight in Tent. Last day of our trekking. We pass the Shilla village to cross Prinkiti-la (3726 m). 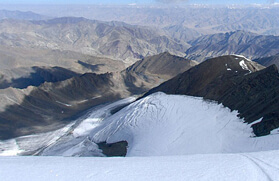 to reach Lamayuru (3 hrs). Visit monastery and drive to Leh (3500 m). Overnight in hotel. Visit Shey, Tikse and Hemis monasteries. Hemis is the most important Gompa in Ladakh, famous for Hemis Festival. Drive back to Leh for the Overnight.. Early morning transfer to the airport for flight to Delhi. Overnight in Hotel.